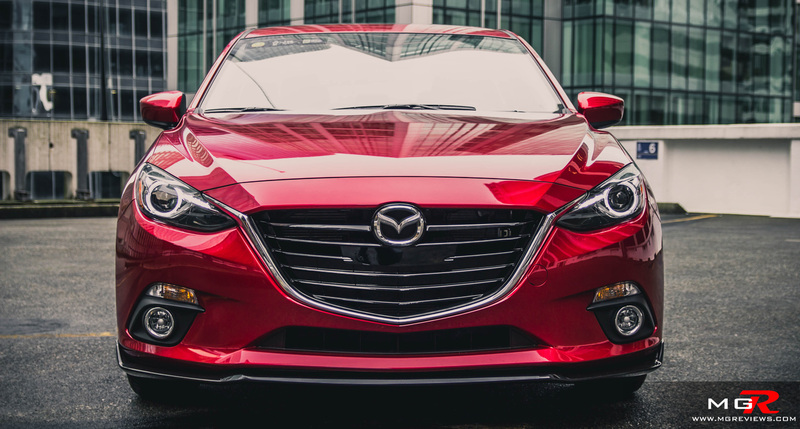 For 2015, Mazda has made a few changes to its best selling car in Canada but the key ingredients that made the car a top pick last year have not changed. 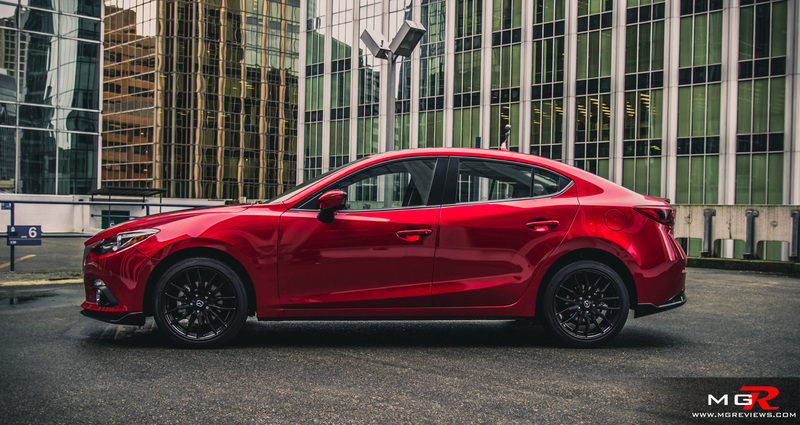 Performance – Carried over from last year, the Mazda 3 is available with a 2.0L engine or a more powerful 2.5L such as the one found in this test vehicle. The 2.5L engine produces a class leading 184hp and 182lb-ft of torque. 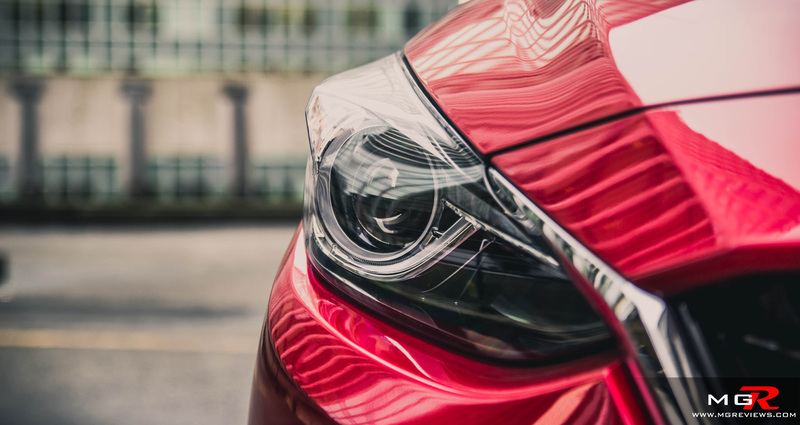 As a commuter car, the engine is smooth and it has plenty of torque at the low end to get you away from the stop lights. 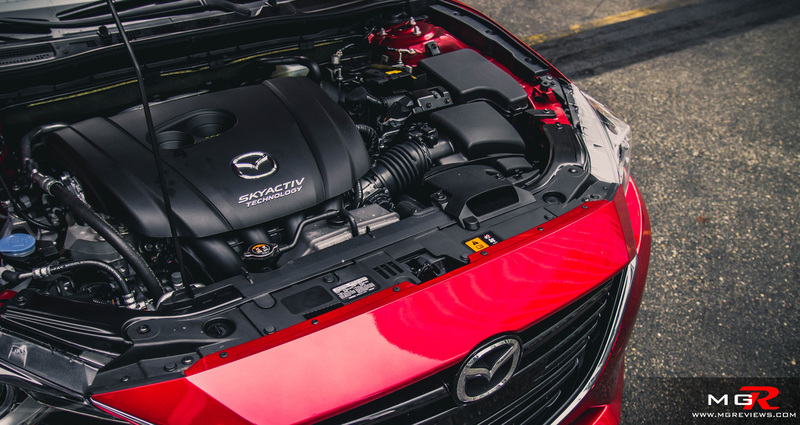 With such a large displacement engine, you would assume that fuel economy isn’t the best but you’d be wrong because the fuel efficiency of the Skyactiv engine is almost the same as a modern clean diesel engine (7.1L/100km City and 5.0L/100km hwy). 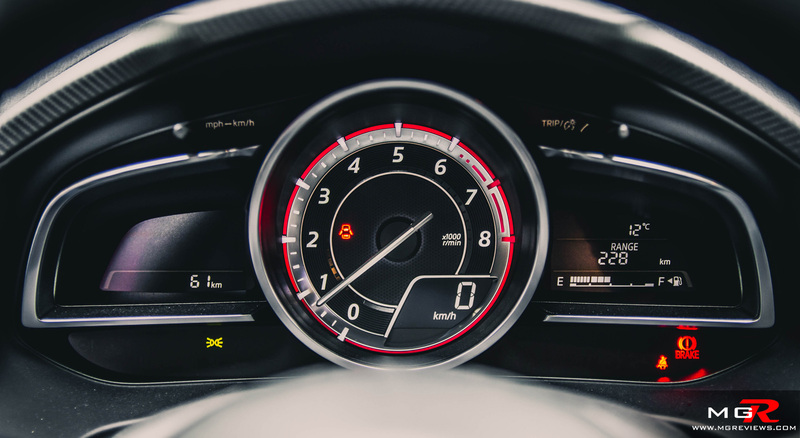 Now just because it has class leading power doesn’t mean it will pin you to the seat however if you’re in the mood for some spirited driving outside the city, the peppy engine has plenty of oomph to keep things exciting. One of the changes for 2015 is the option of a manual transmission with the 2.5L engine. Last year if you wanted a manual, you would have had to buy the 2.0L equipped models because the GT was only available with a 6-speed automatic. Don’t get me wrong, the automatic is a great transmission and clever too. 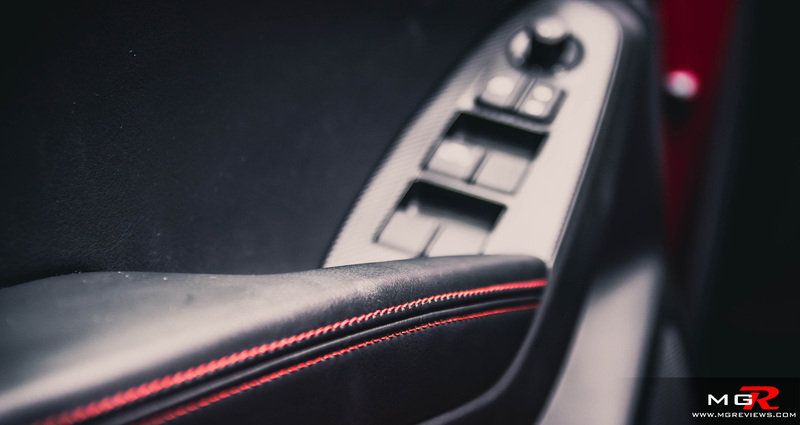 At slow speeds it behaves like a normal automatic but at high speeds it locks the torque converter thus behaving more like a manual transmission providing fantastic engine response when you hit the gas pedal. 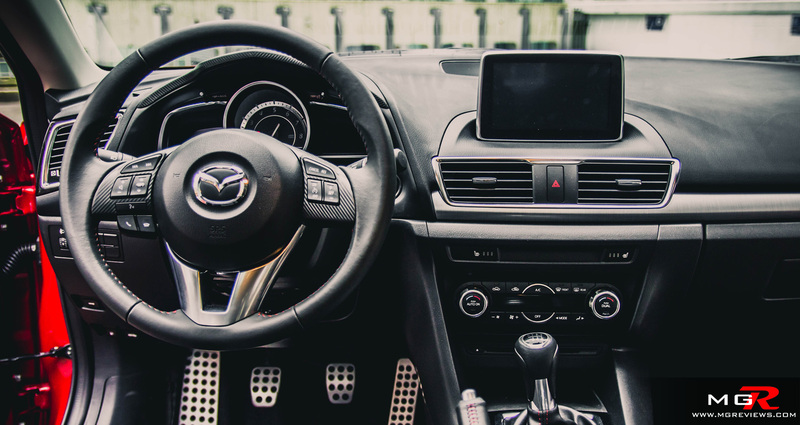 But I’m one of those people who thinks that having full control of gear selection is just more fun and I don’t want a computer to override me and change gears when it thinks it should and it seems that Mazda listened to its customers. 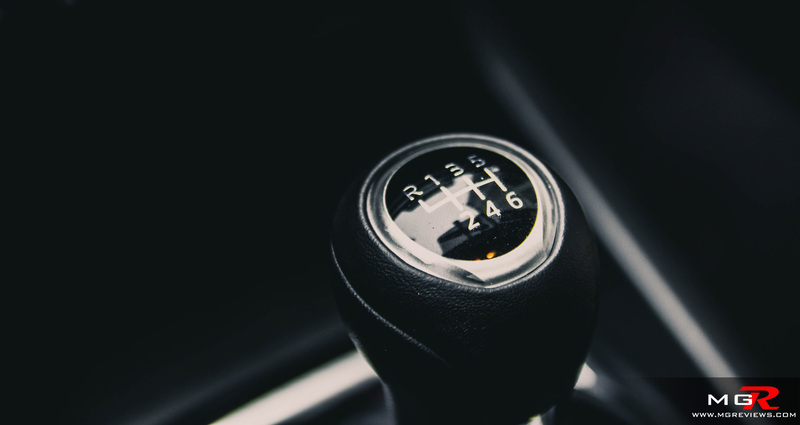 The 6-speed manual has smooth gear changes but more importantly, they feel taught and like as though you’re in a purpose built sports car rather than a commuter sedan. 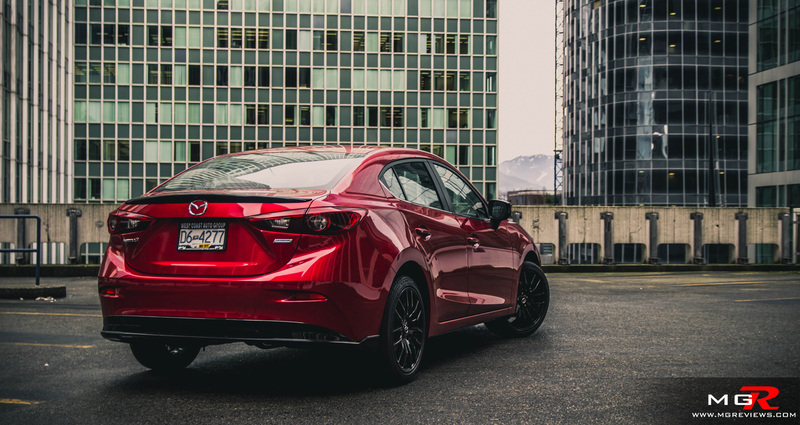 To help slow down and stop the peppy engine under the hood of the Mazda 3, are 4 wheel disc brakes with electronic brake force distribution. 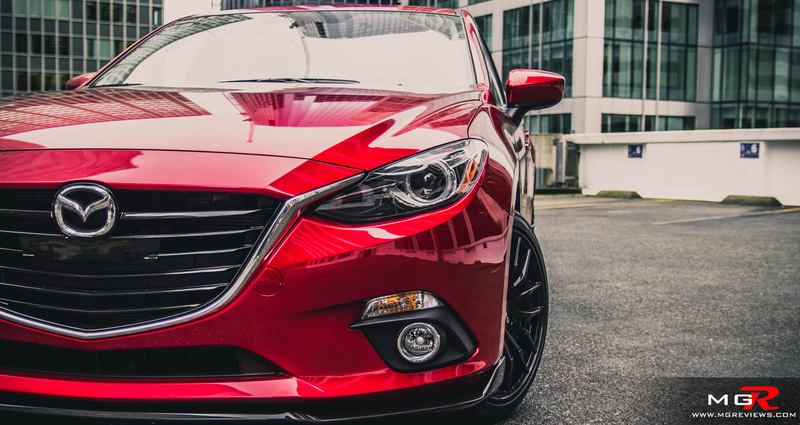 Mazda has never had any problems with poor brake feel on their previous cars and the status quo remains on this one but with a little twist. 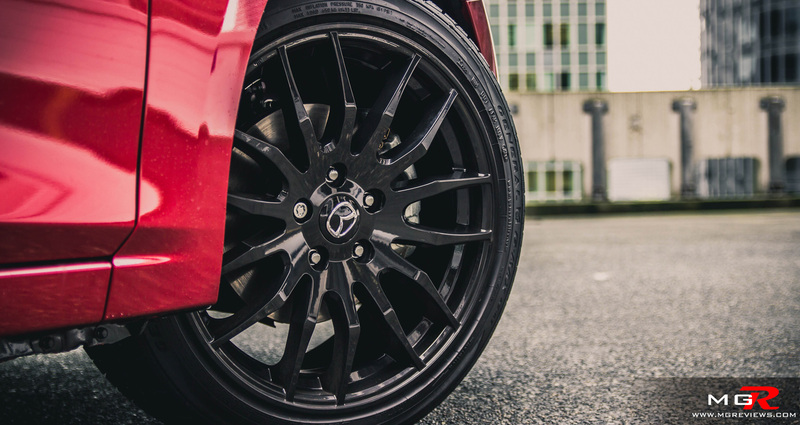 If you opt for the technology package, the brakes come equipped with what Mazda calls i-ELOOP. 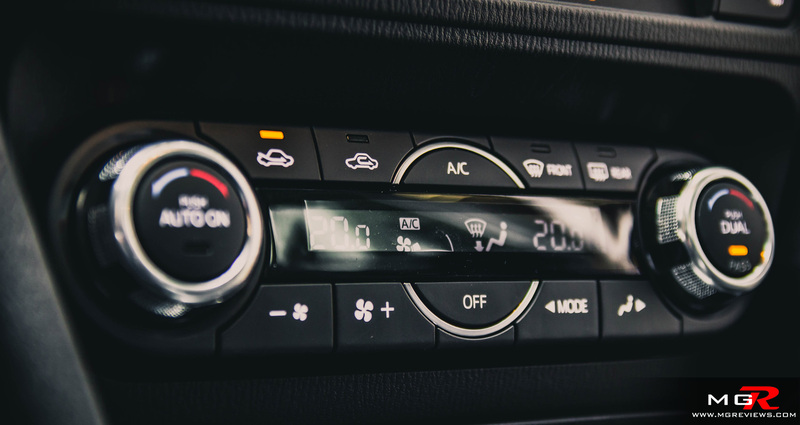 What it does is under braking situations, the energy that would have been wasted in heat and friction is turned instead into electricity that powers various electrical devices on the car and reducing the load on the alternator thus reducing fuel consumption. It is not intrusive at all, it feels like a stronger than normal engine brake. 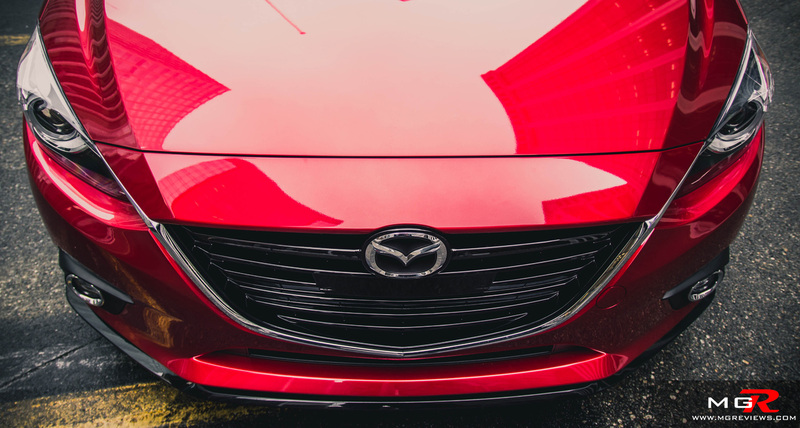 The handling characteristics are what set the Mazda3 apart from its competition. This new generation is just as fun to take around corners as the previous models. 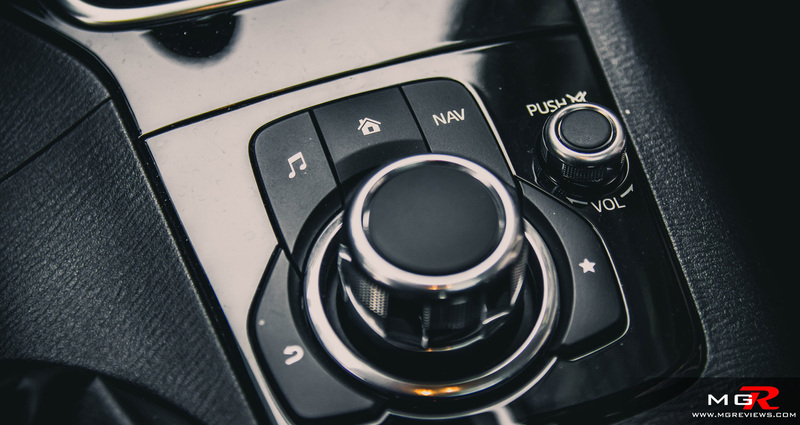 Grip is always there and when it does let go, the electronic traction and stability controls keep you in complete control of the vehicle at all times. The steering feel is also fantastic for a daily driver car. It is nicely balanced between lightness for slow city maneuvering but also heavy enough to let you feel what the front wheels are doing when you’re canyon carving. 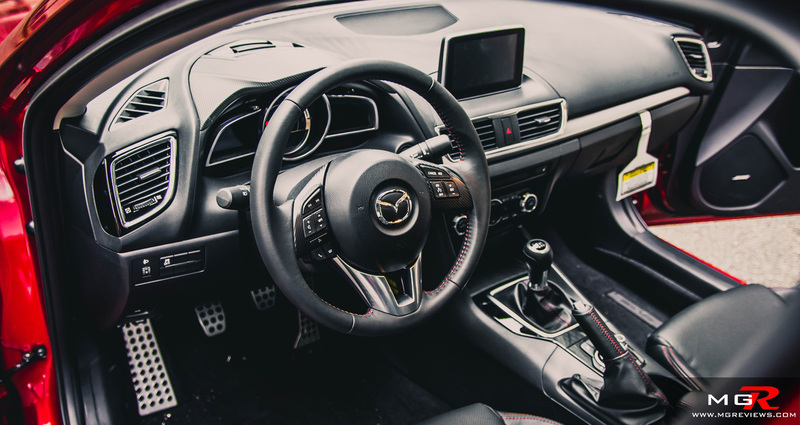 Comfort – After driving the Mazda3 for a day, the question that kept popping into my mind was “Is this really a sub $30,000 car?” The interior design is a very nice improvement over the old model. 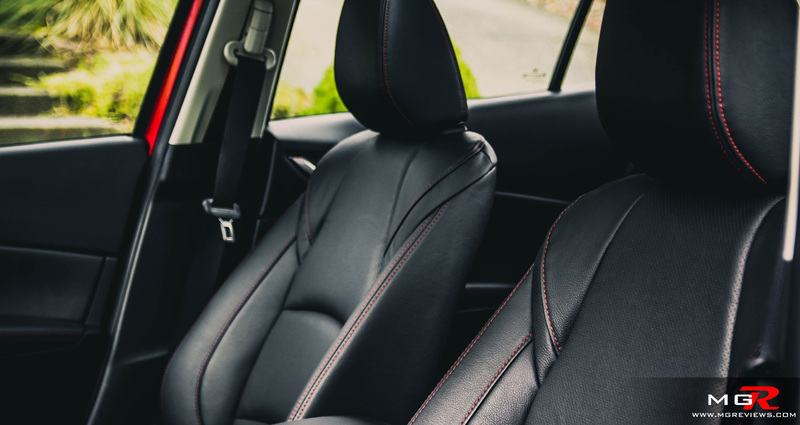 The seats are covered in soft black leather with red stitching, the tachometer is situated directly in front of you with a red halo, and the dash is covered in soft to the touch leather. 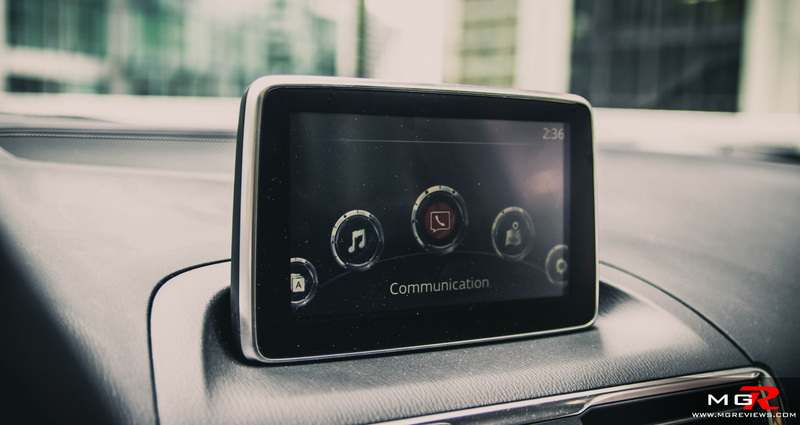 The new infotainment system features a large colour touchscreen but it isn’t pointed towards the driver like how it was in the old Mazda3. I thought it looked awkward sticking out from the center of the dash like as though it was an afterthought. 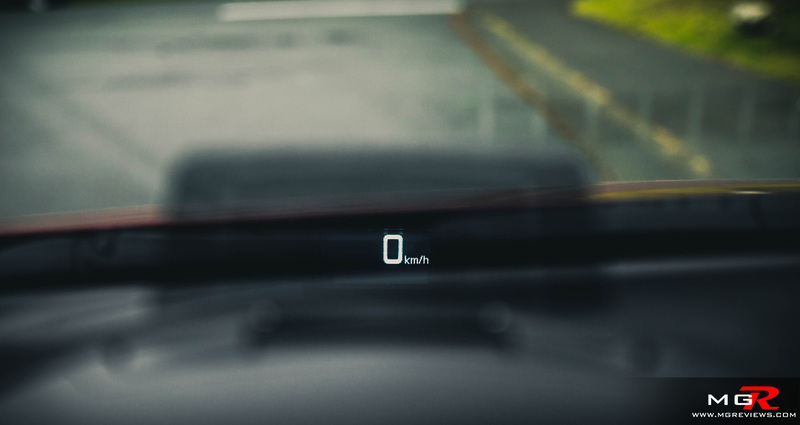 Another feature that surprised me (on a sub $30,000 car) was the new heads up display. 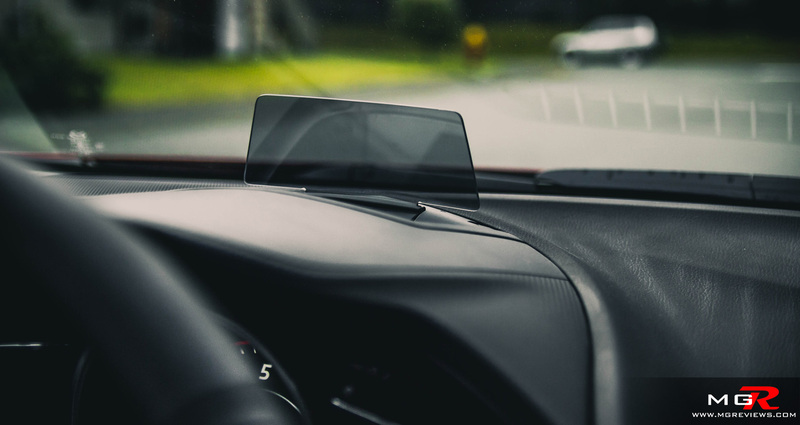 It can display the vehicle speed, navigation directions, and certain vehicle parameters such as fuel consumption. 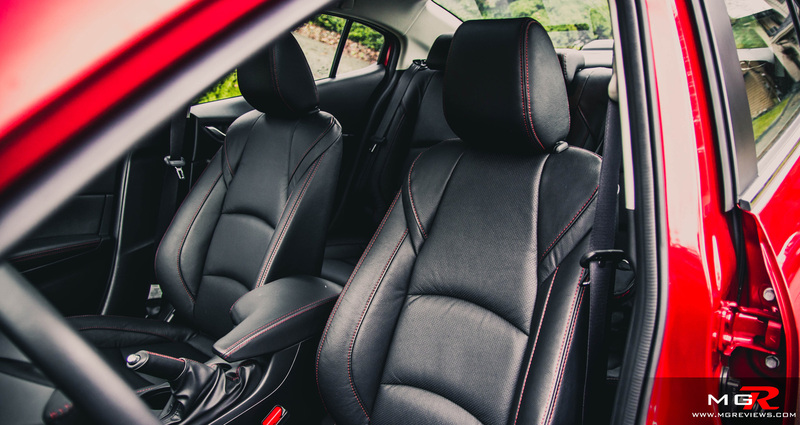 In the back there is ample room for children but adults may find it a bit of a squeeze in terms of leg room. 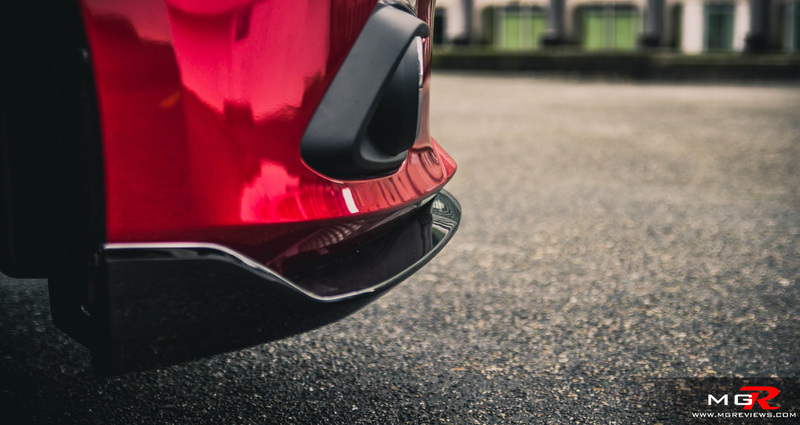 The trunk space is very impressive for a compact sedan but if you’re wanting for more room, the hatchback variant (Mazda3 Sport) offers 222L of extra space. Odds and Ends – The redesign continues outside the vehicle with Mazda’s “Kodo – Soul of Motion” design concept. I have absolutely no idea what that means but I like the way the new car looks. The grinning front bumper of the old 3 is gone and is replaced by a more mature and aerodynamic body. 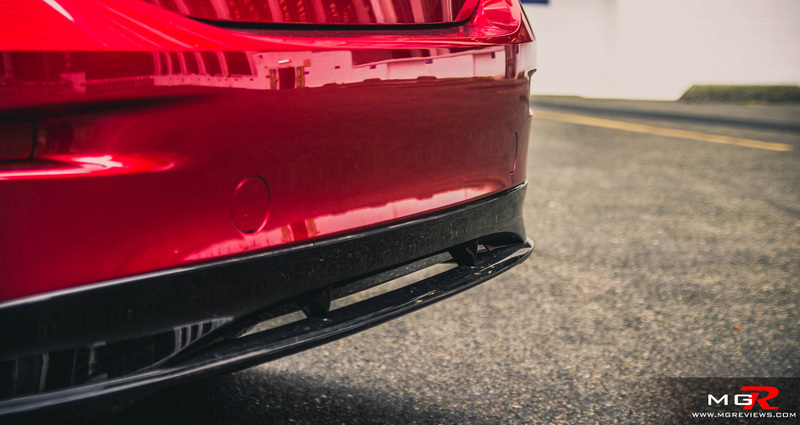 Little details such as the LED daytime running lights and the hidden exhaust tailpipe put a nice finishing touch to an elegantly designed body. 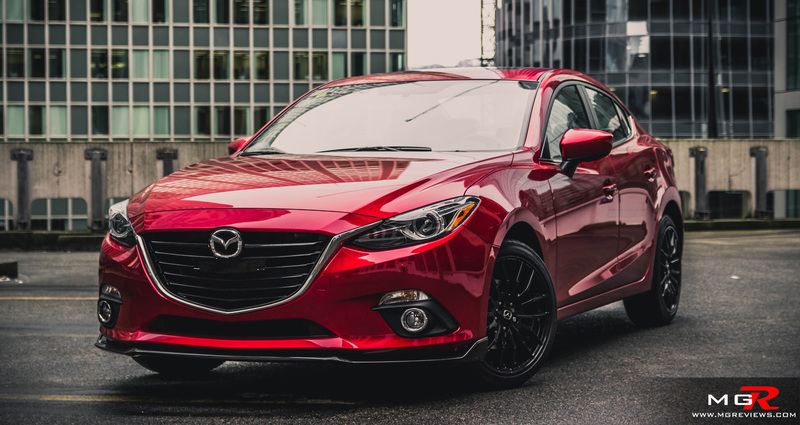 This particular model is also equipped with Mazda accessories inclusing the black painted wheels, front splitter, and rear diffuser that add to the overall look of sportiness. 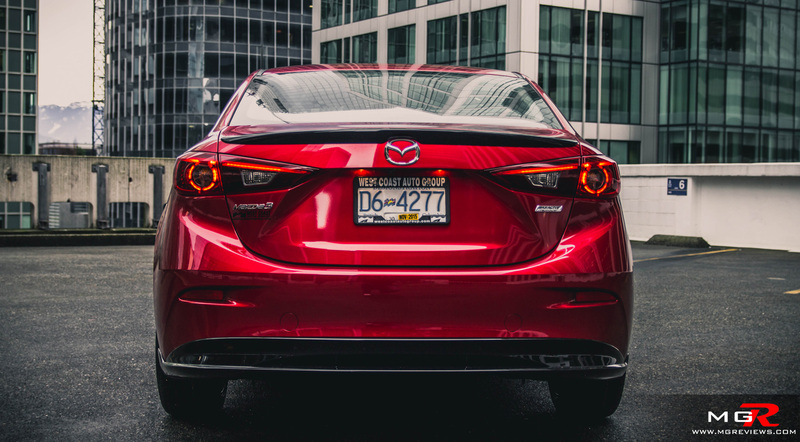 It’s not hard to see why Canadians love the Mazda 3. Fun to drive characteristics, really good fuel economy, great interior, and a boat load of features at a reasonable price. Those are OEM Mazda Accessory wheels from the factory. 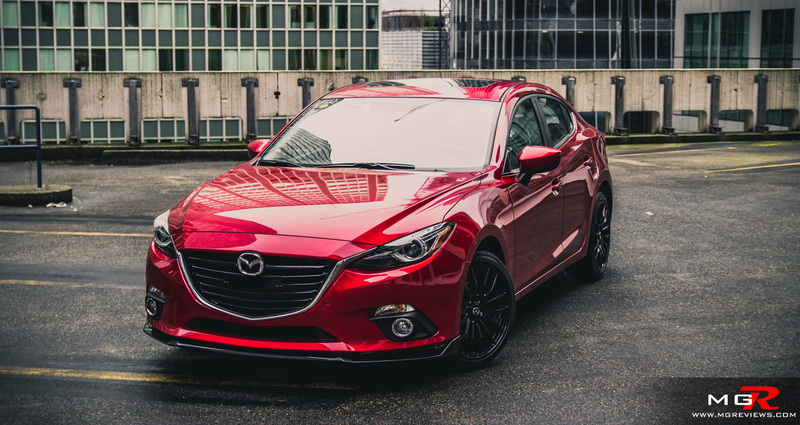 Hey Mike, do you have non-stylized versions of these mazda 3 pics used in the review? I love the look it has with the diffuser aero kit, but I’m curious if it looks that good in person. Hi Trev, you’re not missing much with the original photos. I just bumped the colour of the car a bit and highlighted the shadows. 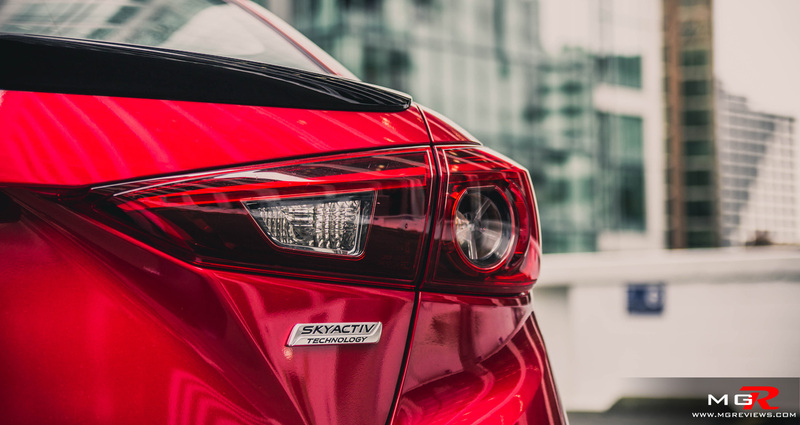 All of the accessories on this Mazda3 are OEM parts so they’re available from any Mazda dealership.